With everyone and their little sister creating online videos, it is becoming a little bit more difficult to be seen in the sea of videos out there. You need to be doing things that grab the eyeballs of scrollers. Eye catching graphics are one way to impress people. You can use images that cause people to look twice to see if they really saw what their mind thought they saw. Or you could use a player that grabs people by the throat and forces them to watch your video until the end. I think I have finally found that bully of a player! 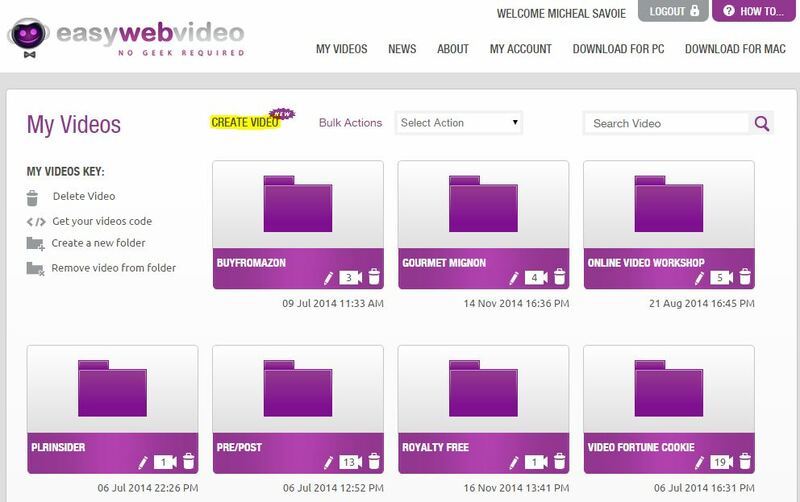 Here are a few screenshots of the Easy Web Video Generator members area. (I really did buy it). Click on the image to see larger image. Highlighted is the new video creation section. Click on the image to see larger image. This is the template selection. Way too many to show in one image. Check it out, the price is right for a cool tool like this!